From Friday 1st November most of our customers are arriving to join in Whitby Goth Weekend. 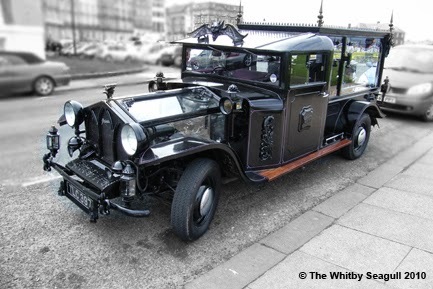 All different genres of Goths descend in Whitby for this the most popular of the 2 Goth Weekends that are held annually! You will see the more traditional victorian Goths, with the ladies in corsets and bustle skirts and the gentlemen in their fine suits and top hats that replicate the victorian era, having a great time along with the steam punks, emos, bikers and every other alternative lifestyle in between! At the Spa Pavilion you will find lots of live bands playing on the evening such as fearlessvampirekillers, ashestoangels, bad pollyanna and Belle Morte, with the Pavilion being used during the day for stalls selling everything from gothic wear to trinkets and knick - knacks. A lot of the pubs in Whitby such as the Little Angel and Elsinore are the favourite hang outs for all the Goths before they head on down to the Spa Pavilion. Whitby Goth Weekend was founded in 1994 by Jo Hampshire and has gone from strength to strength over the years making it one of the worlds premier Goth events.